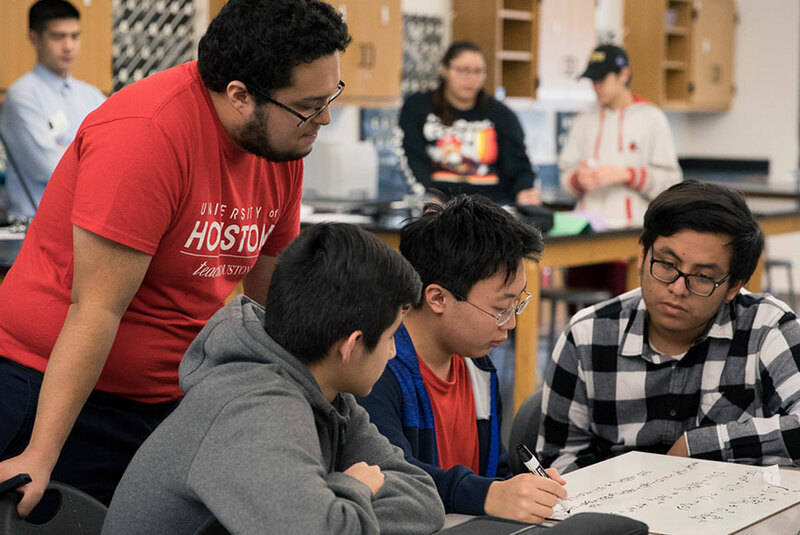 teachHOUSTON is committed to producing outstanding high school STEM teachers, and is a partnership of the University of Houston College of Education, College of Natural Sciences and Mathematics, and local school districts. 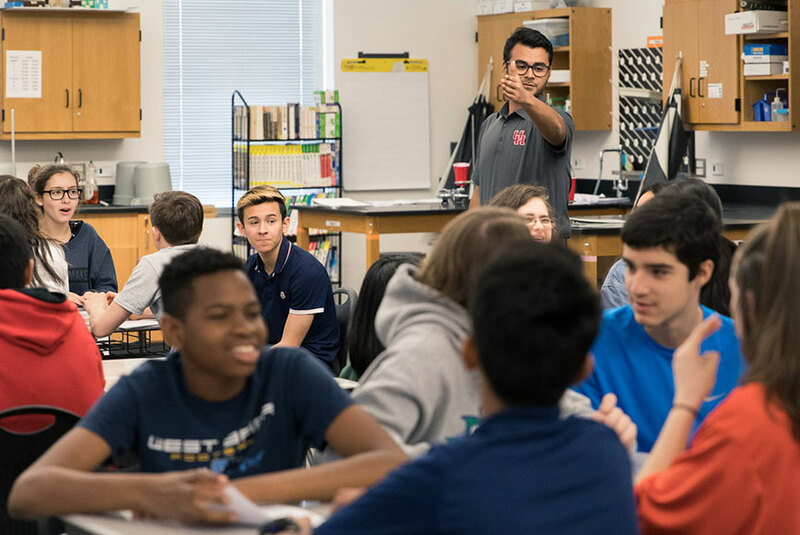 teachHOUSTON emphasizes early and on-going field-based teaching experiences, while students work to attain a bachelor’s degree in STEM, and STEM teaching certification. 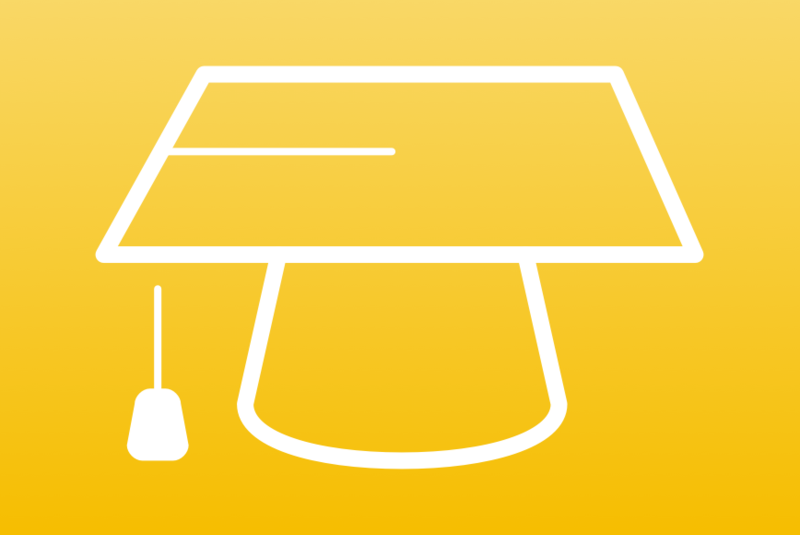 Keep your NSM major and get a teaching certificate! Scholarships for undergraduate Computer Science students interested in secondary STEM teaching certification. Attention Juniors, Seniors and Post-Bacs! New program with full SCHOLARSHIPS for alternative secondary STEM teaching certification. 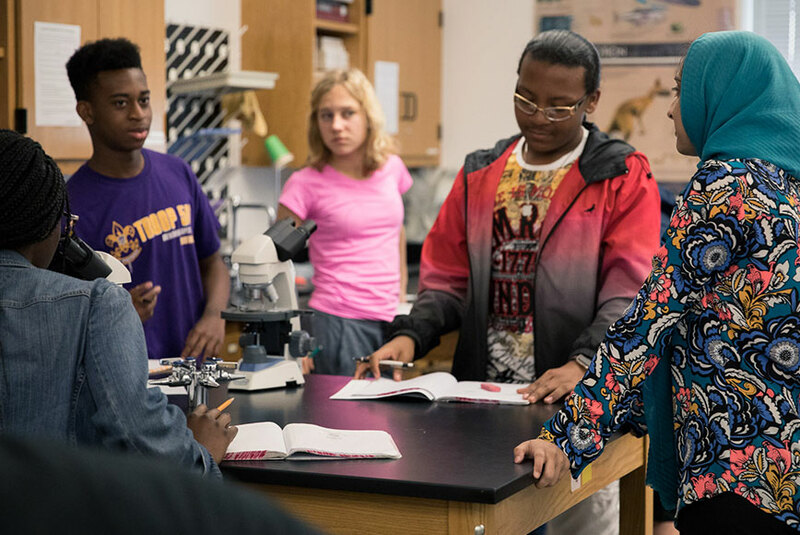 DOE grant for teachHOUSTON tackles shortage in STEM field. 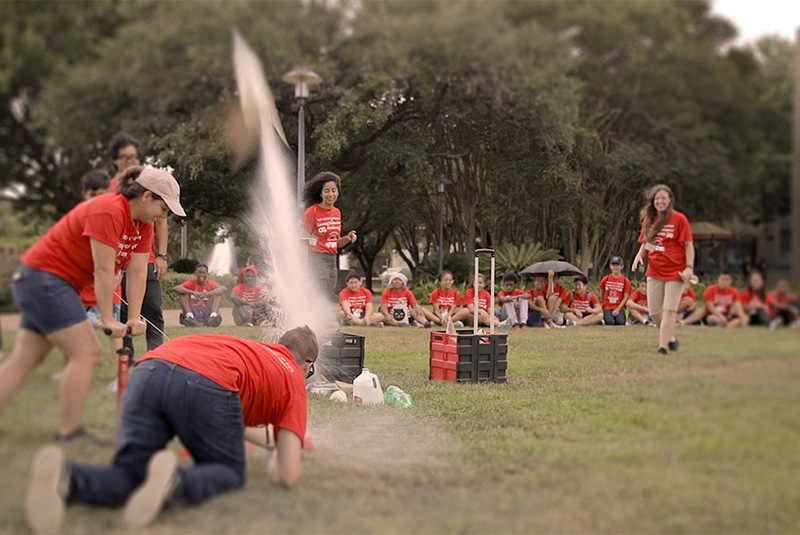 Students create concept prototypes during two-week summer academy. 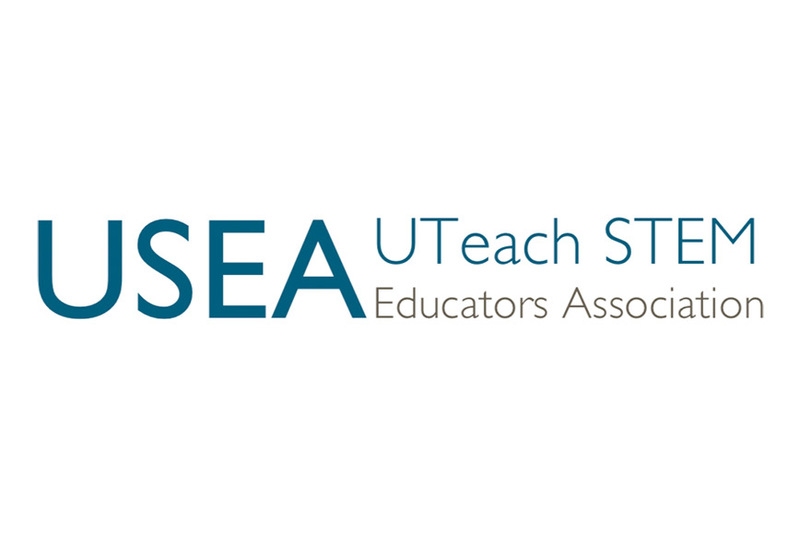 Organization unites UTeach teacher prep programs, alumni and other STEM organizations. First steps to enroll in the teachHOUSTON program. Approximately $1.6 million in scholarships has been awarded to students in the program. Over $6 million earned through grant funding has been allocated towards programmatic goals.